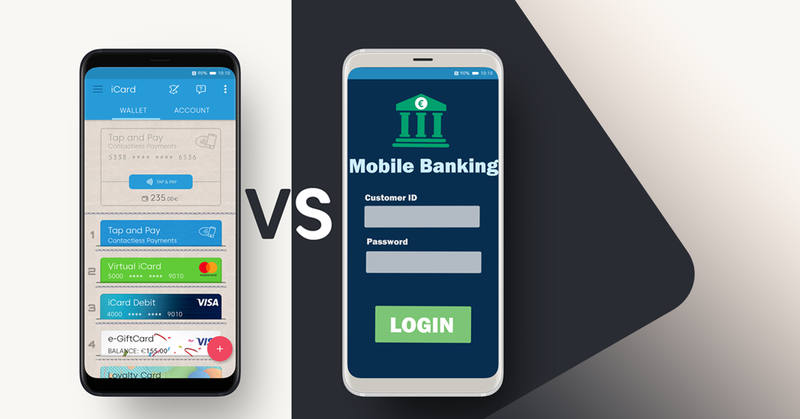 There is a fine line between the difference in what a digital wallet is vs what a mobile banking app is. We recently did a consumer habits study, in one of the emerging markets for digital wallets. We discovered that it was very difficult for people to distinguish between the two. This is understandable from a user standpoint. They both are installed as apps on a smartphone, they sometimes have similar features, and on top of that digital wallets are still relatively new and not so popular in certain markets. 1. A mobile banking app is simply a more convenient point of entry to your already existing bank account. It gives you an overview of your bank balance and allows you to do banking operations such as wire transfers and sometimes payment of your utility bills. It may or may not allow your phone to be used as a NFC device for contactless payments. A digital wallet on the other hand is an alternative of your physical wallet. It can be funded through your bank account. In fact, you can connect all your existing debit or credit cards to a digital wallet and transfer money to it instantly with the tap of a button. Most digital wallets, let you use your phone every time you want to make a payment offline and even online with iCard. 2. First of all, digital wallet providers usually operate under an e-money license, issued by a supervisory authority, such as a Central bank or a Financial Conduct Authority, in accordance with the national legislation, implementing the Electronic Money Institutions Directive (2015/2366). In the case of iCard, we are licensed by the Bulgarian National Bank under the Payment Services and Payment Systems Law of the Republic of Bulgaria. What this means is that digital wallet providers with an e-money license are not banks per se, and therefore they are not allowed to treat the clients’ funds as deposits or use them in order to credit third parties.. Banks, on the other hand, do just that – they take your deposits, reinvest your money and make huge profits for themselves while they are also charging you fees for sometimes ridiculous services. Just as an example – I was recently asked to pay a fee to change my online banking password. What all this means for you is that when you transfer your money to your digital wallet you become the sole owner of your funds, in the same way as you do when you withdraw your money in cash. With a digital wallet you can access your money directly from your phone, withdraw them in cash if you need, and request all your balance back at any time, no questions asked. With iCard you wouldn’t even have monthly maintenance fees or minimum balance requirements! Mobile banking apps usually fall short on functionality compared to digital wallets. In the same time, some wallets, including iCard, offer most of the features you’d find in a mobile banking app, plus a variety of other useful things you can do. Add to that the, often terrible, user experience mobile banking apps offer, and choosing a digital wallet instead comes as a no brainer. As fintech products, digital wallets pay a special attention in their effort to create a seamless and intuitive user experience. While no two digital wallets are alike in terms of features. I will focus on briefly outlining what is currently included in the iCard digital wallet. Compared to others, it is one of the most feature rich wallets on the European market. – Digitize all your bar-coded loyalty cards, collect them in your iCard mobile digital wallet and use them at stores with a tap of a button. – Last minute gifts have never been easier. Create and send customized virtual Gift Cards in minutes – perfect for online shopping and even for offline contactless payments! – Top up your phone minutes? Done! Use your iCard wallet balance and top up instantly. 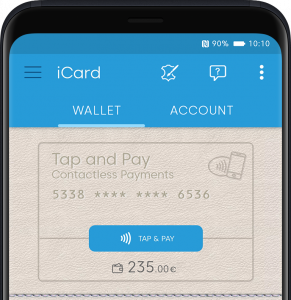 – iCard wallet takes off the hustle of exchanging money when traveling or shopping internationally. – Create a dedicated virtual card in a variety of currencies and save on exchange rates and fees. It is available on Google Play and App Store. There is one thing banks and reputable digital wallets have in common and this is the security measures they deploy when it comes to protecting consumers’ sensitive information and funds. 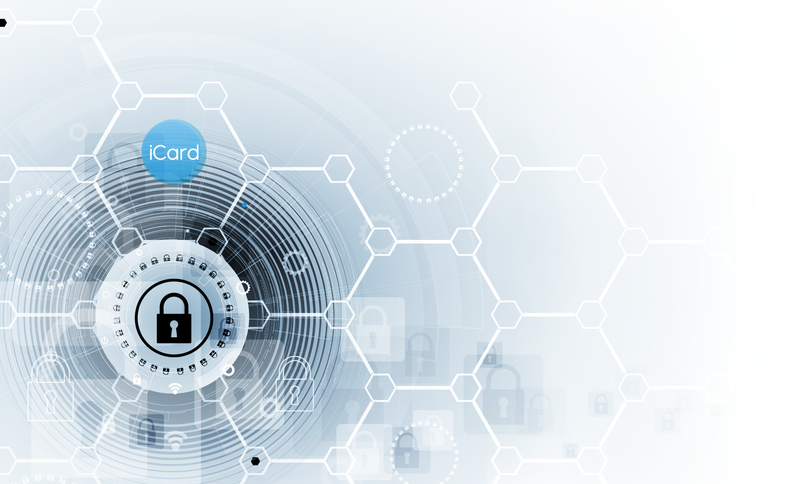 At iCard your security is our highest priority. We maintain the highest level of security standard certification in the industry. Our infrastructure is constantly tested by external security experts and continuously improved based on expert recommendations and latest security developments. We also deploy an advanced funds protection mechanism with various built in app features and a dedicated team for 24/7 risk monitoring. I hope this clarified a bit what’s the difference between your mobile banking app and your digital wallet and it helped you make a decision if you were wondering whether to go for a digital wallet or not. If you still hesitate or you have further questions just send us a message below. Your feedback and opinion matter! Thanks Luis. As we are required by law to not own or operate with the money of our users, in case of bankruptcy all money stays intact and all remaining wallet balances shall be returned to our clients, as the law removes the e-money balances of our clients from the equity from which the creditors (other than the clients themselves) can seek remedy. I hope this helps. Still transferring the money to iCard from registered cards doesn’t work. When this functionality will be available?